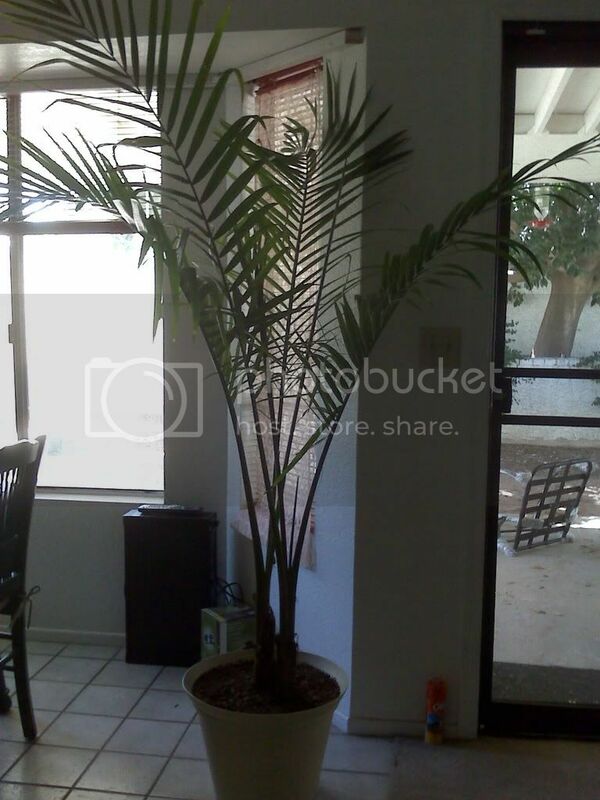 I purchased a Majesty Palm in a 10" pot. It is sticking it's "elbows" out the side of the pot so I know it needs a new one. 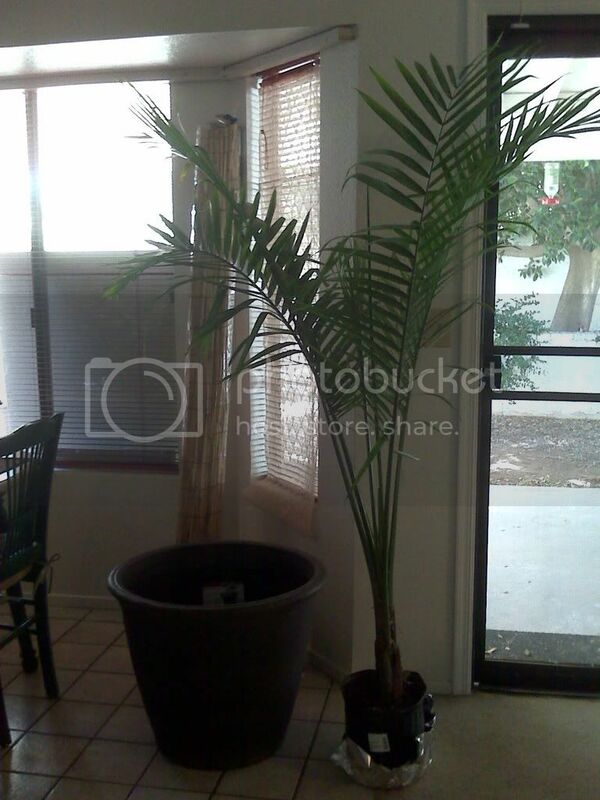 I bought pot to put it in and took a picture of them together but don't know how to get it in the post. But, I think it's a 24" pot. The gardener where I bought it said 18 to 20 but the 24 was a good price. I also bought 2 bags of palm and citrus (I think it was citrus) potting soil. I would like to have one plant live. I seem to have a black thumb with plants. But with this posting ability, maybe I can make one survive. Oh, I bought a zebra plant too and hope it will do well. So, do I need to go back and get the 20" pot or can I make this one do? Can I put a bag of rocks in the bottom or styrofoam broken up to take up some space? I've read here that they like to be packed in their pot so they are steady. I also have some SUPERthrive vitamins-hormones. I'm not 100% sure about your Palm Tree, Sorry! I upload my pictures to Photobucket, then paste the IMG code onto the forum. I hope you find out about the pot, hopefully it shouldn't make too much difference! I wound up buying a pot in between and repotting it. I used the superthrive on it and soaked it really well. It is amazing how it's grown already! I'm glad your plant's doing well!